Sizes: 22", 24", 36" and 48"
- Use 2 Grip-Tite Hangers, one as your stabilizer, if you requirer an exact match (purchase 2 for banner). 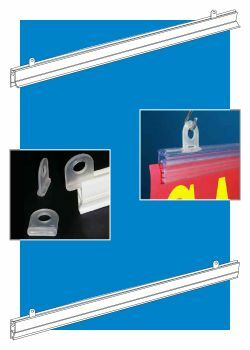 This is a very functional and widely used banner hanger. 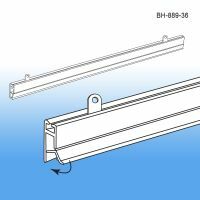 Our Grip-Tite series holds signage up to 1/8" thick, is made of durable PVC and is easy to load and change out. 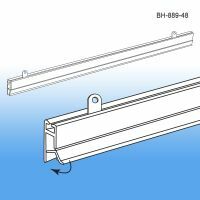 Trust all your sign hanging store fixture component needs to Clip Strip Corp. We stock hundreds of accessories in this category, if you have signage, give us call today to get you the right banner hanger for your specific needs.